ANAHEIM, Calif. – At the Disneyland Resort, the Holidays begin here, bringing seasonal magic to the Happiest Place on Earth Nov. 9, 2018, through Jan. 6, 2019. Throughout the holiday season, traditions are shared, memories are made and the spirit of the season shines even brighter throughout the resort. The festivities include favorite holiday experiences and entertainment, including Disney Festival of Holidays and the “Believe … in Holiday Magic” fireworks spectacular. 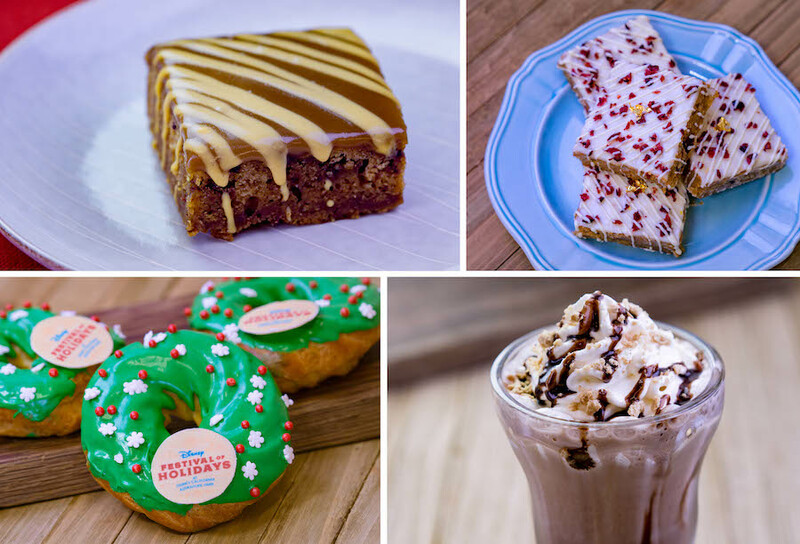 The heartwarming Festival of Holidays, which honors the sights, sounds and tastes of Christmas, Navidad, Hanukkah, Diwali and Kwanzaa and Three Kings Day, is celebrated at Disney California Adventure Park for an additional two days, running through Jan. 8, 2019. 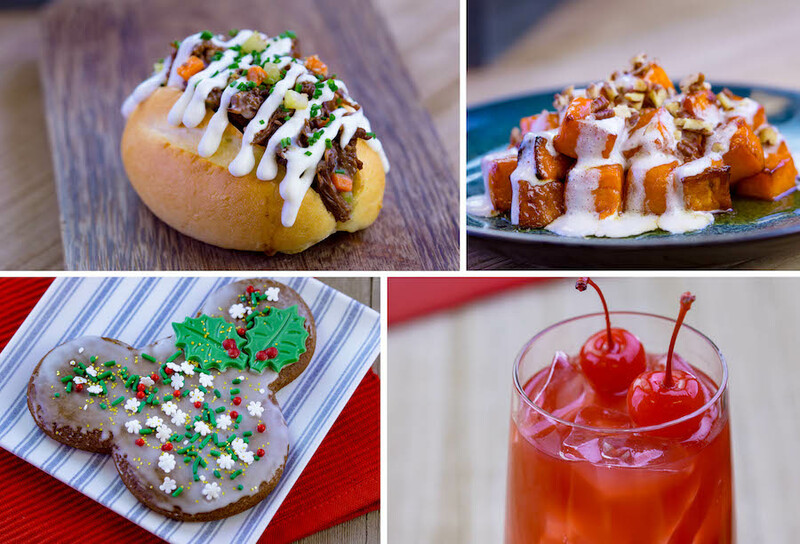 Disney Festival of Holidays brings the spirit of the season to life through special entertainment, along with delicious food at the Festive Foods Marketplace, which features a mix of holiday dishes and beverages that bridge many diverse cultures and family traditions. 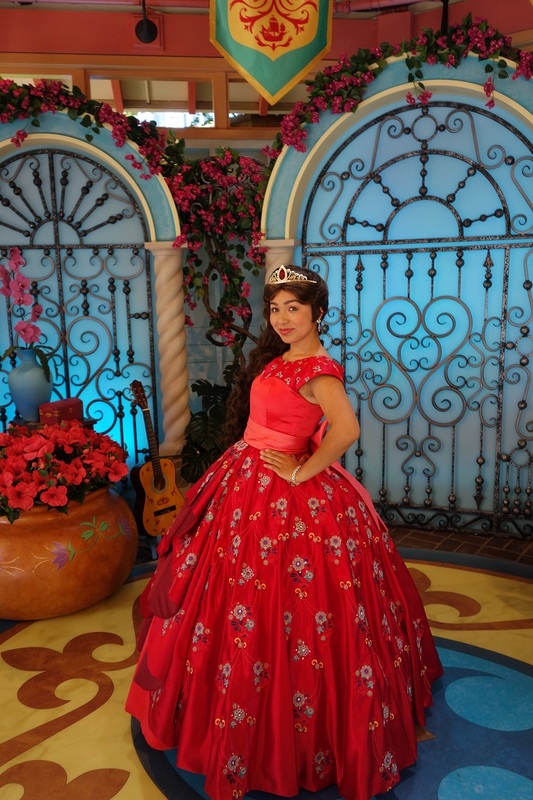 Festival of Holidays entertainment includes musical and dance performances by the mischievous Holiday Toy Drummers, Mostly Kosher, Blue13 Dance Company, The Sound, and the GRAMMY® Award-winning Mariachi Divas. 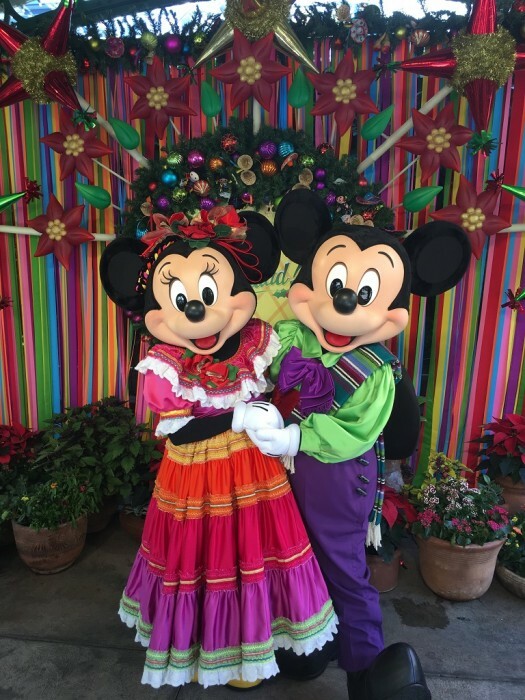 The Three Caballeros host the popular “Disney ¡Viva Navidad!” street party celebration, featuring folklórico and samba dancers, live musicians, and Mickey and Minnie in their fiesta best. 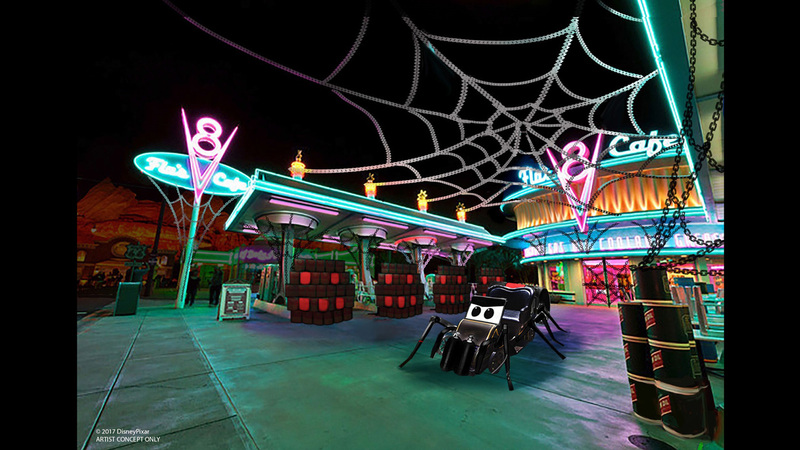 The residents of Cars Land decorate for the holidays, too. 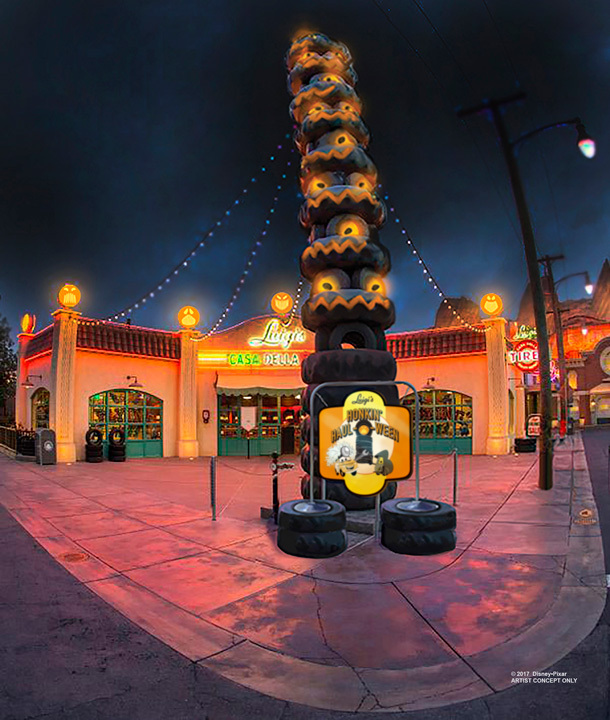 Each address along Route 66 – Flo’s V8 Café, Fillmore’s Taste-In, Cozy Cone Motel, Luigi’s Casa della Tires and more – gets a holiday makeover that reflects the personality of its “Cars” character resident. 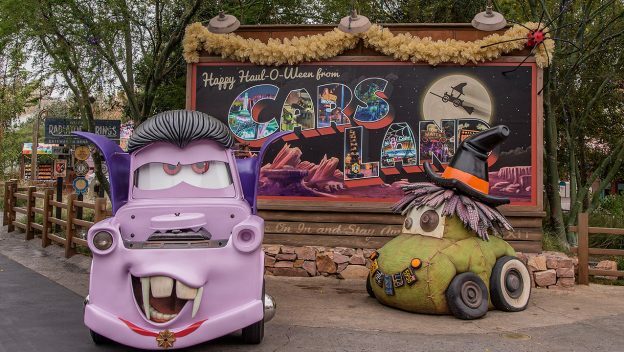 Plus, two attractions put the holiday cheer into overdrive, transforming into Luigi’s Joy to the Whirl and Mater’s Jingle Jamboree. Guests can enjoy special holiday-themed activities with Santa Claus and his sleigh full of mischievous elves at Santa’s Holiday Visit at the Redwood Creek Challenge Trail through Dec. 24. 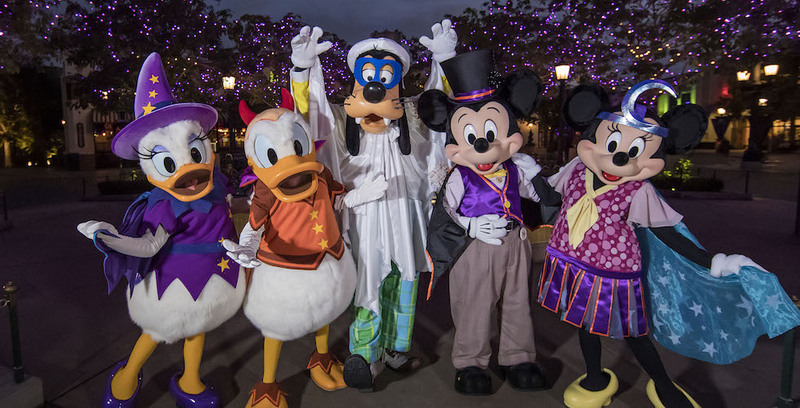 From Dec. 25 through Jan. 6, guests may encounter Santa Goofy in this festive location. When night falls, guests may stroll through the Grizzly Peak area to experience a magical touch of winter, with an occasional snowfall! 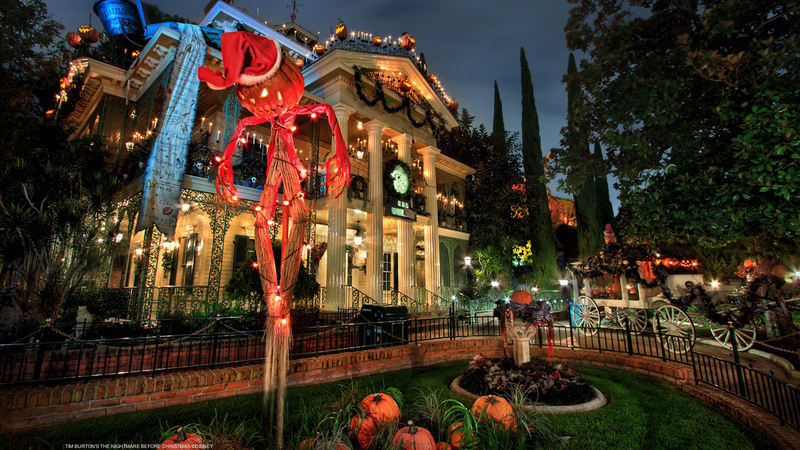 Haunted Mansion becomes Haunted Mansion Holiday,* with Jack Skellington and his friends from “Tim Burton’s The Nightmare Before Christmas” causing a collision between Christmas and Halloween. 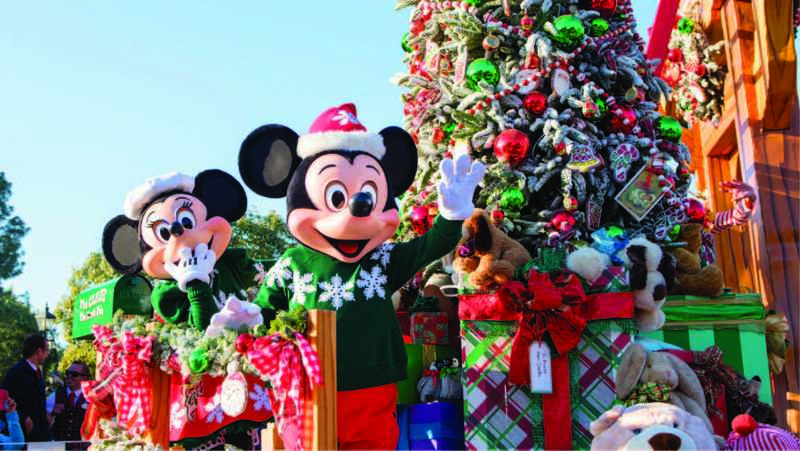 The Downtown Disney District shopping, dining and entertainment district and the Hotels of the Disneyland Resort also join the holiday festivities with twinkling lights and ornaments, holiday displays, special entertainment and holiday-inspired eats and treats. 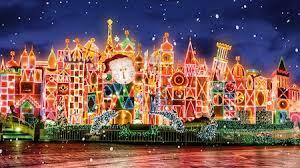 For special holiday offers and bookings, please visit www.disneyland.com, and to give the gift of a Disneyland experience, visit www.disneyland.com/gifting. 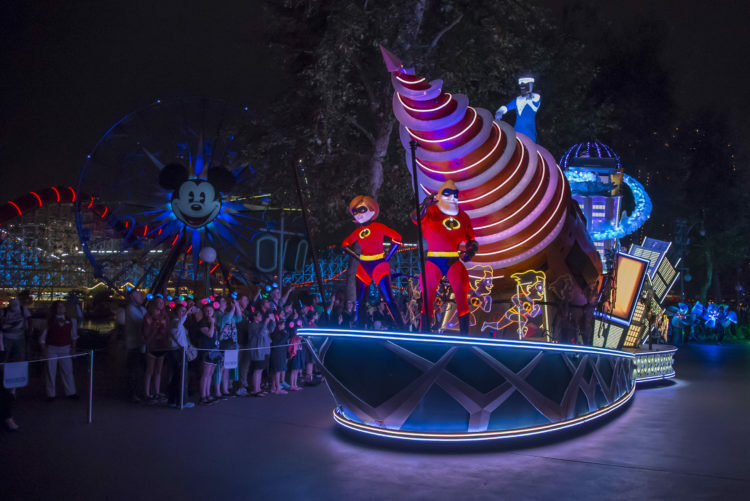 There’s still time to enjoy Summer time fun with Disneyland’s Enhanced ‘Fantasmic!’ and the 62nd Anniversary Celebrating the Iconic 1955 Grand Opening and More. ANAHEIM, Calif. –“Fantasmic!,” Disney’s popular and longest-running nighttime spectacular, returns to the Rivers of America in Disneyland Park July 17, 2017, with enhanced, awe-inspiring effects; innovative, state-of-the-art projection technology; and new storytelling elements. bringing exciting attractions and innovative entertainment to life for guests from around the world. Walt Disney’s promise for a new family entertainment concept continues today: “Disneyland will never be completed … as long as there is imagination left in the world.”The return of “Fantasmic!” builds on that promise, taking the journey into Mickey Mouse’s imagination to brilliant new heights. 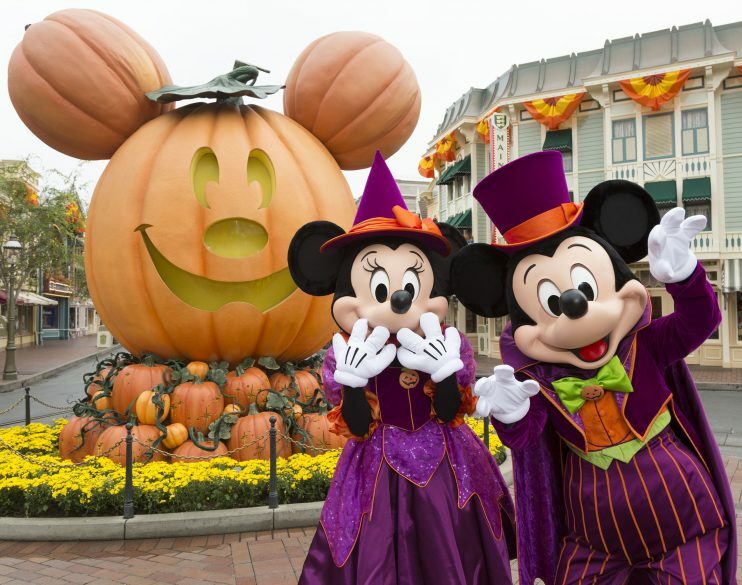 The story that has been treasured by Disneyland guests for more than 25 years continues, as Mickey Mouse conjures dreams of beauty, adventure, romance and, in the show’s thrilling climax, danger. New magic is incorporated with Aladdin and Jasmine floating over a bed of fog on their flying carpet, Captain Jack Sparrow at the helm of a ghostly pirate ship, and special new appearances by characters from “The Lion King” and “Finding Nemo.” And Rapunzel and Flynn Rider from “Tangled” join other Disney couples in an inspiring romantic sequence. 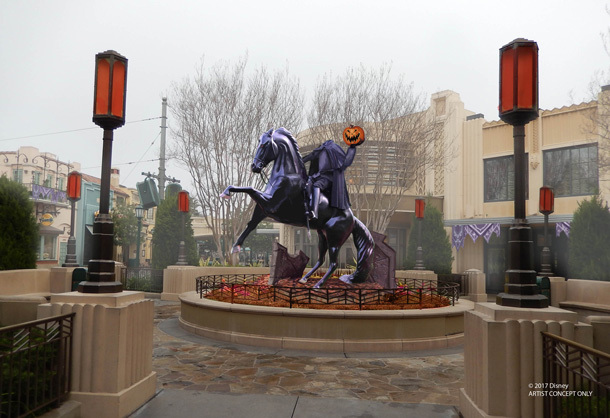 Additional enhancements give the popular show an even brighter look, with more vibrant projections and new mist screens. Every inch of every surface on the show’s island “stage” has been digitally mapped. Projection mapping and three-dimensional video combine, allowing the creative team to transform the island as never before. 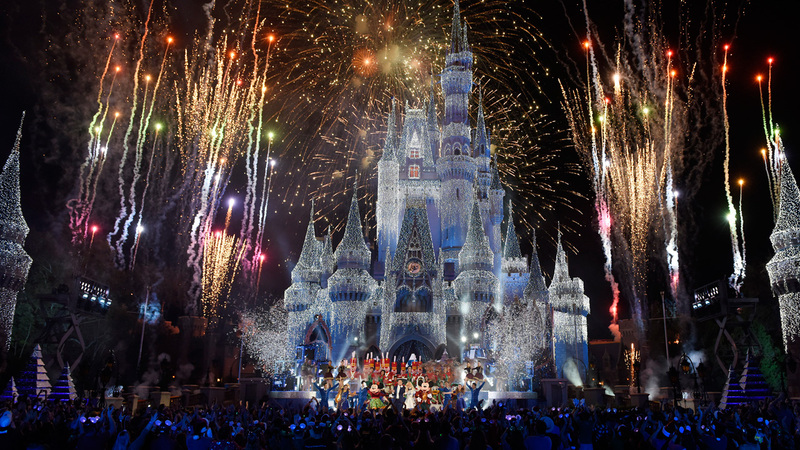 All technical elements of the show, including lighting, fountains and water screens, have been upgraded. The return of “Fantasmic!” also coincides with the return of some classic Disneyland attractions this summer. The Disneyland Railroad, Pirates’ Lair on Tom Sawyer Island, and the watercraft that sail around the Rivers of America in Frontierland, Mark Twain Riverboat, Sailing Ship Columbia, Davy Crockett Explorer Canoes. This summer guests at Disneyland also have a last chance to view the lights, music and fun of the beloved Main Street Electrical Parade through Aug. 20, 2017. 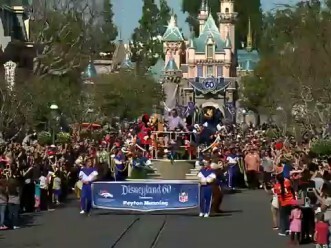 Nightly performances of the parade feature favorites such as Cinderella’s ball, Elliot, the smoke-breathing, tail-waggin’ “Pete’s Dragon” and the glittering “To Honor America” finale. 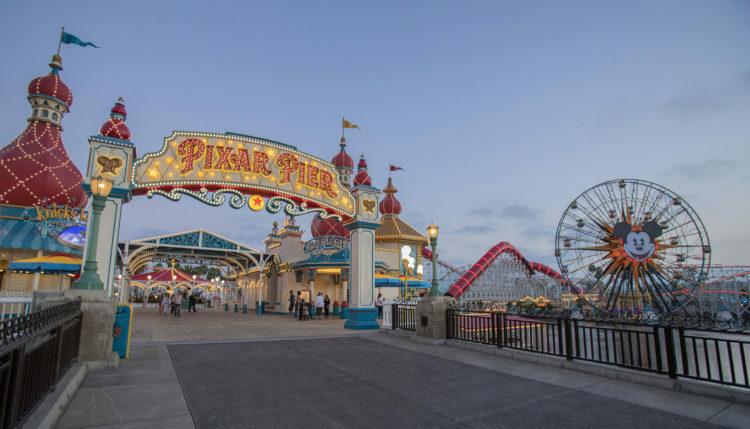 Guests this summer also will enjoy Summer of Heroes, a new, limited-time celebration at Disney California Adventure Park. 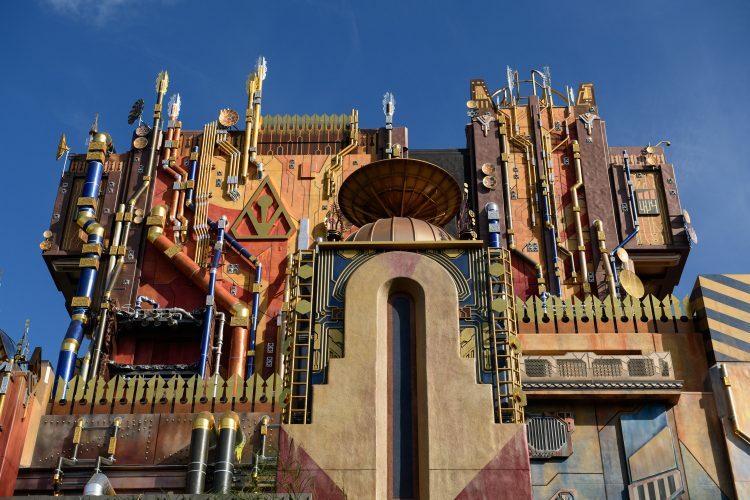 Guests are invited to experience epic adventures with some of their favorite Super Heroes through Sept.10, 2017, along with the new attraction, Guardians of the Galaxy – Mission: BREAKOUT!, which opened May 27, 2017. An enhanced version of that original “Fantasmic” presentation, featuring digital projections and the spectacular new 45-foot-tall dragon, premiered June 12, 2009. The main stage on Tom Sawyer Island, including underground housing for many special effects, was specially built for “Fantasmic!” By day, it is a boat dock and “cider mill” visited by guests on the island. In 1992, the original estimate for the prospective audience size was 6,500. Spectators, however, found every space they could and the average number of guests per performance was 11,000 that first summer. Within days, the area was re-landscaped to accommodate more guests in the viewing areas. “Fantasmic!” was scheduled for three shows per night that year, and extended to four shows on July 4 and New Year’s Eve. Before summer 1993 arrived, the walkways and planters in New Orleans Square had been redesigned in the “terrace” style from which today’s guests view the show.